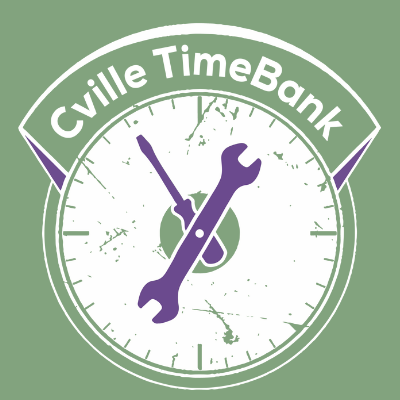 It’s official – Cville loves fixing stuff! It was standing room only at the spring Repair Café on March 5. With nearly 200 visitors and 75 volunteers, this fabulous fix-o-palooza was more than double the size of our first event in November. Everyone had a TON of fun while we fixed and evaluated over 340 items. We glued, screwed and welded things like a banjo, a Buddha, a camel saddle, an Eames chair, an Olympic torch, and even the barrel tables at the IX Art Park. We sharpened almost 70 tools – pruners, clippers, scissors, knives, loppers and hatchets. Learn how to sharpen your tools! Friendly fixers Janet & Charles House of WayCoolTools.com will give a sharpening workshop with Transition Cville on April 10. Click here for details. We sewed up 55 buttons, zippers, hems and holes in dresses, coats, sweaters, jeans, pajamas, backpacks – even a tutu. Steve Haske and Jesse Chapman from Charlottesville’s Urban Sketchers joined us to capture the event on paper! This is Steve’s sketch of our sewing section hard at work. We revived 40 appliances – vacuums, lamps, clocks, blenders, a hair dryer, a battery charger, a turntable – including one item with a cord that was chewed by squirrels! We restored more than 45 pieces of jewelry – bracelets, earrings, necklaces, watches and glasses. Two visitors went home with handmade keepsake baby bracelets on their wrists instead of in a tangled heap. We fixed up bikes for kids and grown-ups – and a stroller tire, too – at the hands-on bike repair station with Charlottesville Community Bikes. We learned how to maintain a vacuum, fix a flat bike tire, reduce household waste, rewire a lamp, replace a button, and darn a sock at mini workshops throughout the day. 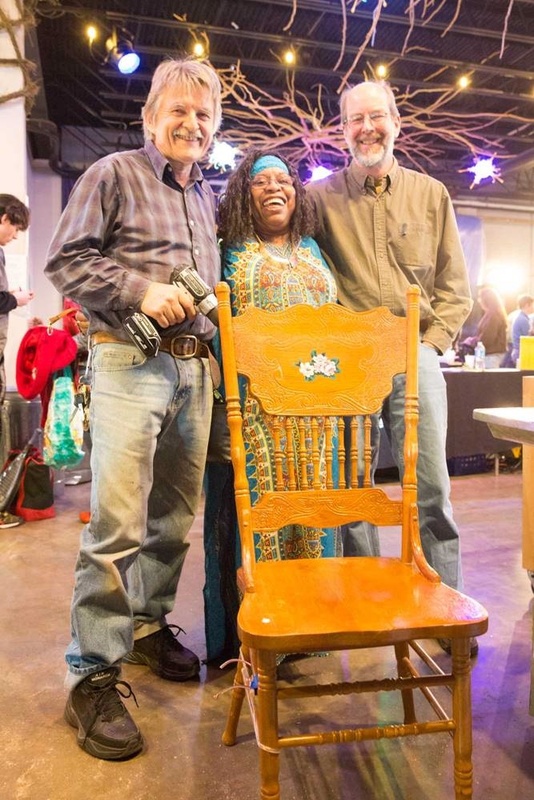 Cville Repair Café will be back soon! We’re raising funds to hold another free, community-wide Repair Café event in October or November. We’ll announce the date this summer. In the mean time, look for us at the Eco Fair on April 24 and stay tuned for other fun fixing news.